Interior Window Film can be used to enhance a space in your home or at your business. 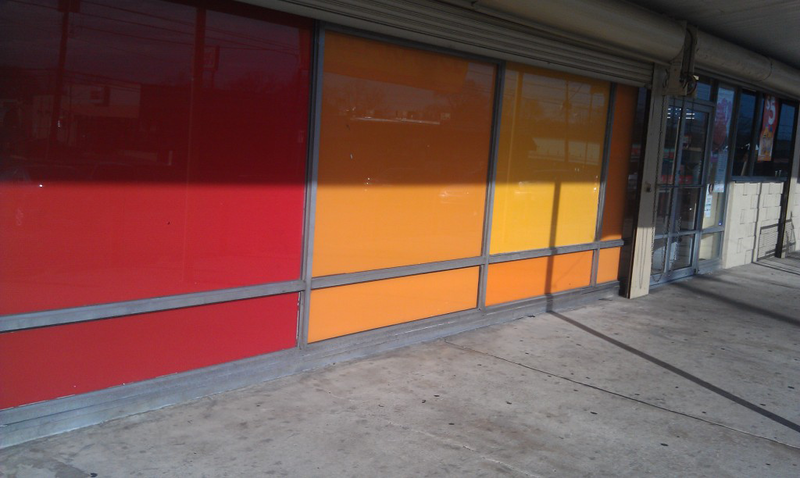 Window Film has many benefits and comes in a variety of graphics, designs, colors and style. The film can be custom cut to match your vision. 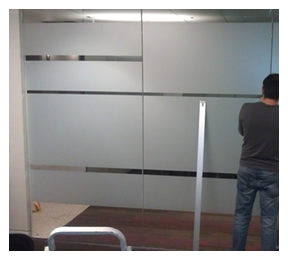 Below is an example how you can create privacy with interior window film. 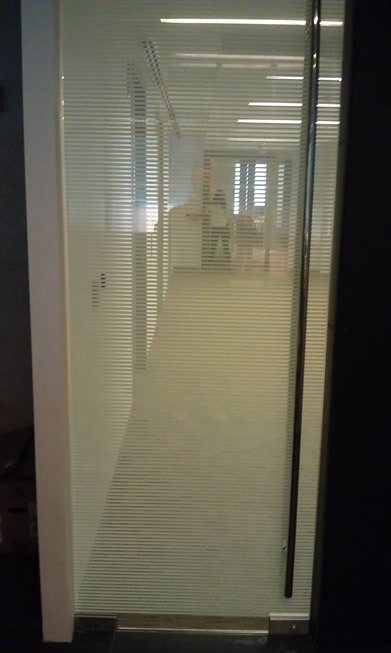 By adding some frosted window film employees at this office get a defined space to work. At the same time, the office becomes contemporary and an more inviting work space. Another example what interior window film can do is to enhance interior spaces. By applying decorative window film a place can go from dull to warm and inviting. 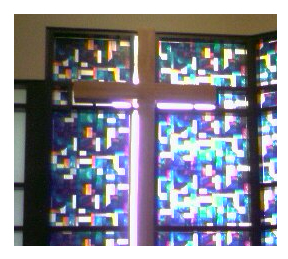 The picture below illustrates a job we did for a local church. 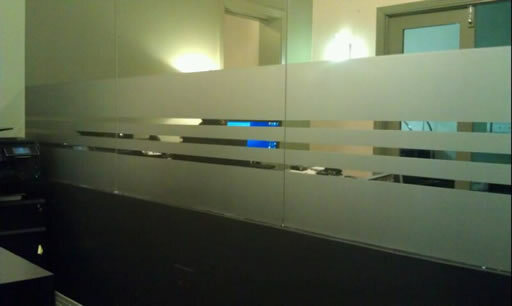 Interior Film can also be a very practical tool for business owners if the simply to hide a space. Below are a client who were in the process of re-opening their business. 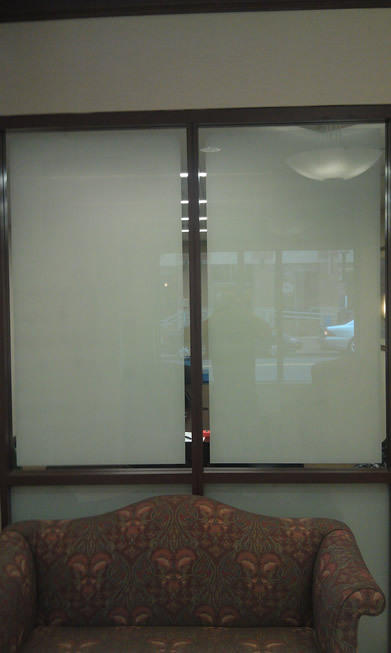 The window film played an important role in hiding the work they did inside. 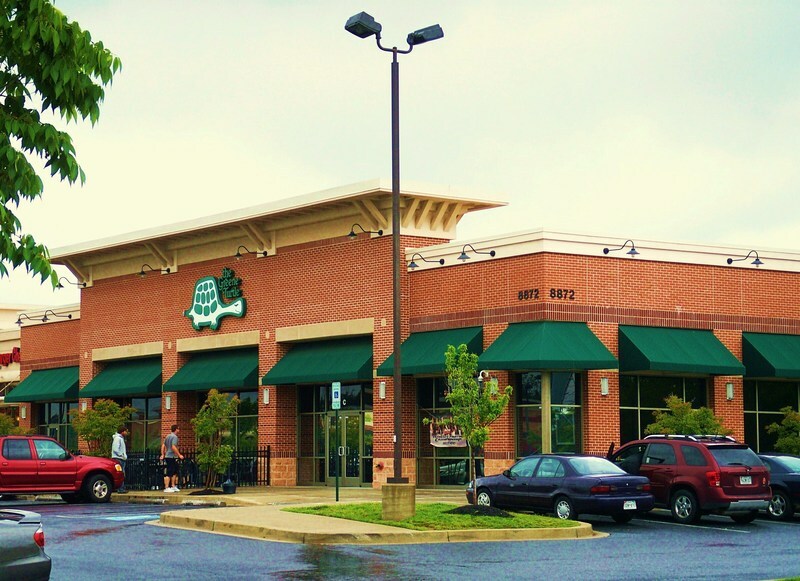 If you have questions please call Interior Guards for a free estimate 301-637-0081.